If you are like me and love to entertain during the summer, but want it to be simple and no-fuss, today's post is for you. 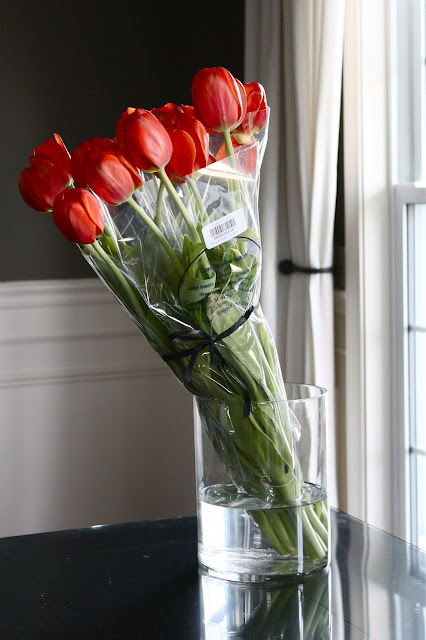 I'd like to share two quick, inexpensive centerpiece ideas. 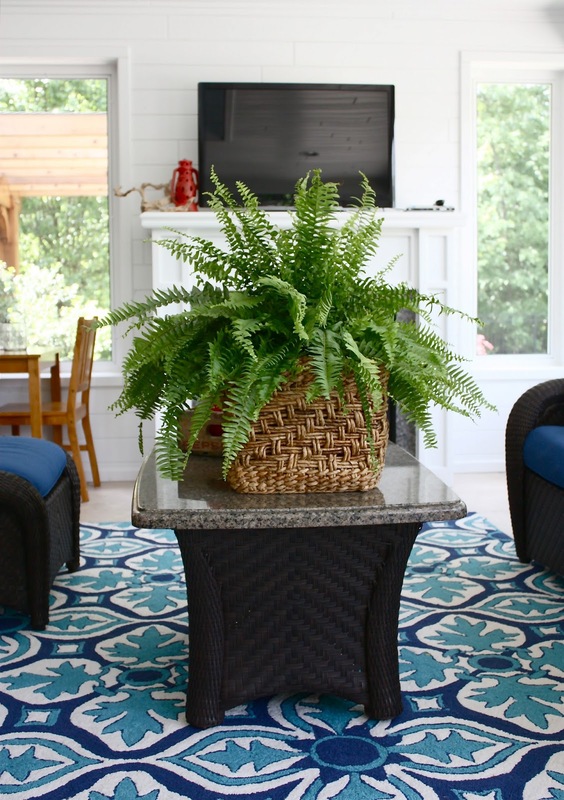 One of the easiest ways to liven up a room for summertime is with a fresh fern centerpiece. My go-to container is a large chunky woven basket from a discount home store (like this basket from HomeGoods $18). Another favorite summertime centerpiece uses bright orange tulips and clippings from around the yard. In this example, I wrapped a few leaves from my hosta around the tulip stems before placing them in a clear vase. I put these together last week while working on a project for a special client. The fern-in-a-basket will last throughout the year and the hosta-wrapped-tulips are great for their weekend. 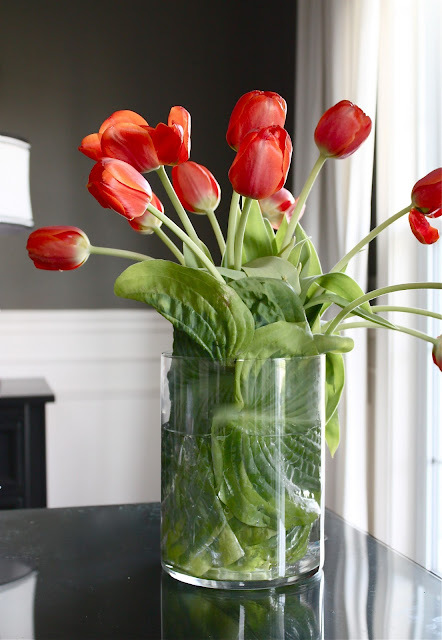 I love the tulips wrapped in hosta leaves. Such a beautiful idea! Great post, I'll have to try the fern. Thanks Sarah! Two wonderful ideas! Thank you for posting these! I've been struggling with what to do put on my living room and dining room table for an upcoming get together! I have literally dozens of Hostas so this will be my new summertime go to for arrangements!! A fern! So simple, so classic, so Summer. Thanks for the idea.